In its forty years in the business, Legnopan has evolved to offer products that keep up with the times. IT has expanded too, reaching every business process, and helping to speed up work and to increase the customer base. Emails play a primary role, as a privileged channel to exchange information, orders and order confirmations, both internally and externally. Periodically, emails should have been manually moved from the mailbox of each employee with the purpose of both getting an email archive and avoiding a resource overload. In 2014 Legnopan has started a process of email modernization that led to the use of MailStore to automate collection, storage, search and recovery of the emails through a single centralized solution. 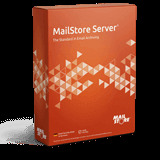 MailStore is located on mail server’s virtual machine and has a dedicated hard disk that is backed up every night. MailStore allowed Legnopan to split its 60 mailboxes into different groups, and to establish different erasure policies for each group. Using MailStore, the IT staff has no longer to operate manually on the machines to complete the email housekeeping for 30 GB of emails per year. Moreover, the shift of the email archive on a dedicated storage has freed the hard disk assigned to the mail server, avoiding overloads due to unexpected email flows. Nowadays, the only manual processes regard the reassignment of a device, with the certainty that the email record is securely stored in MailStore.